Life Truck & Commercial Sign services - Mobile AL. 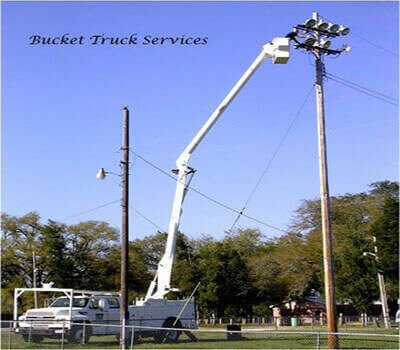 McCollum Electric has all of the necessary equipment to get to those hard to reach places. If you have parking lot light issues or need a sign repaired, then McCollum Electric is the right choice! Contact Us today and let us help you with your application. McCollum Electric can make you the right sign to show off your business. Not only can we build your sign, but we can also install it for you. It doesn't matter what size or if it is standard commercial or even neon, we can get the job done for you. Contact Us today!